Here and there throughout the city we find Catholic churches that, for one reason or another, are next-door neighbors to each other. We hear, for example, that in 1924 the predecessor of the church of the Holy Family was built almost directly across the street from the existing old German parish of St. Boniface. And there is a fair amount of duplication of patron saints as well. 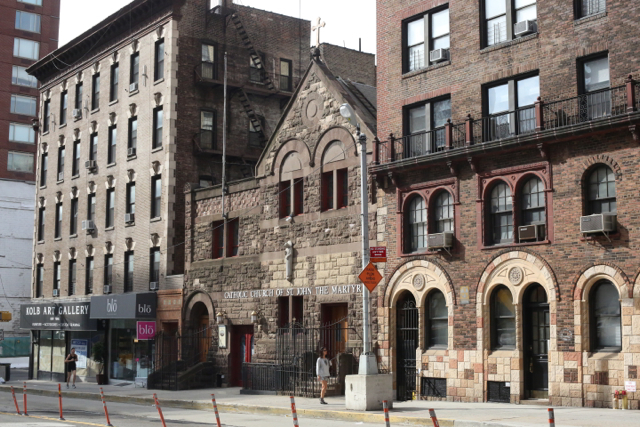 Just in the borough of Manhattan, we have the five Saint Josephs, the 2 St. Anns (up to 2005), St. John the Baptist as well as St Jean Baptiste…. 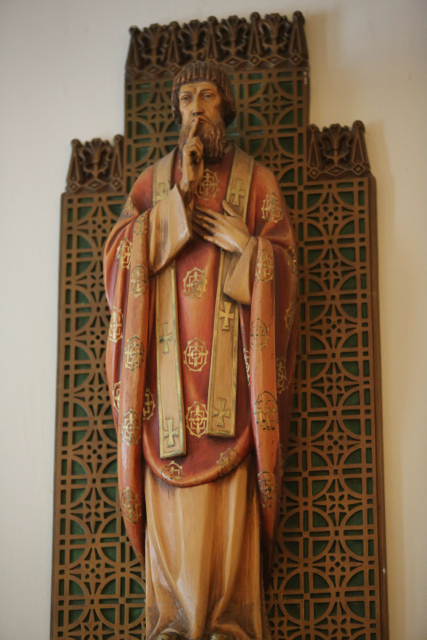 But at a spot in the southern reaches of old Yorkville we find both: two churches situated within a few blocks of each other that are also dedicated to the same, relatively exotic, saint: St. John of Nepomuk of Bohemia. One, St. John the Martyr, served in the distant past the Czech population of the neighborhood; the other, St. John Nepomucene, still functions as a Slovak national parish. We shall see, however, that their foundations were entirely independent of each other. 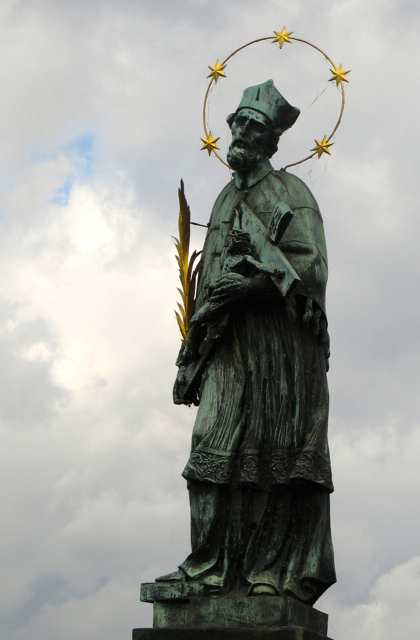 Saint John Nepomucene (to use that appellation) was the vicar general of the Archbishop of Prague at the end of the 14th century. He definitely defended the rights of the Church against King of Bohemia Wenzel (Wenceslaus; Vaclav) – also King of the Romans(head of the Holy Roman Empire). 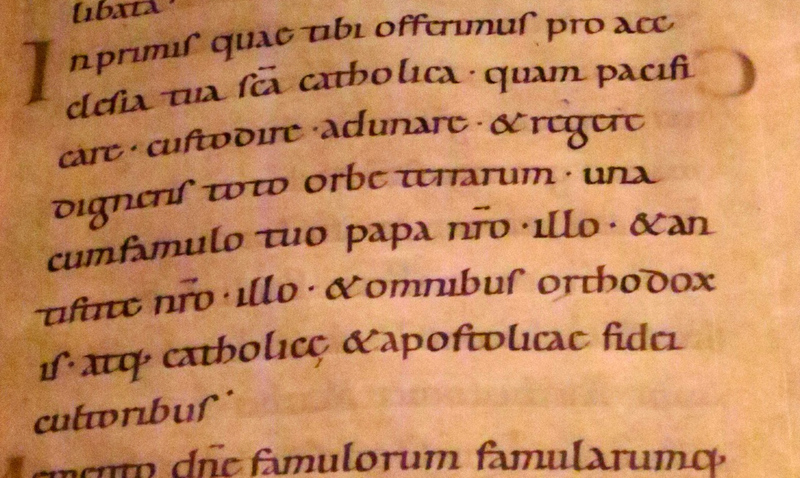 More famously, St. John Nepomucene is reputed to have heard the confession of the Queen and to have refused to disclose the contents thereof to the king. In retaliation said monarch had him tortured and then thrown from Charles Bridge into the Moldau River. 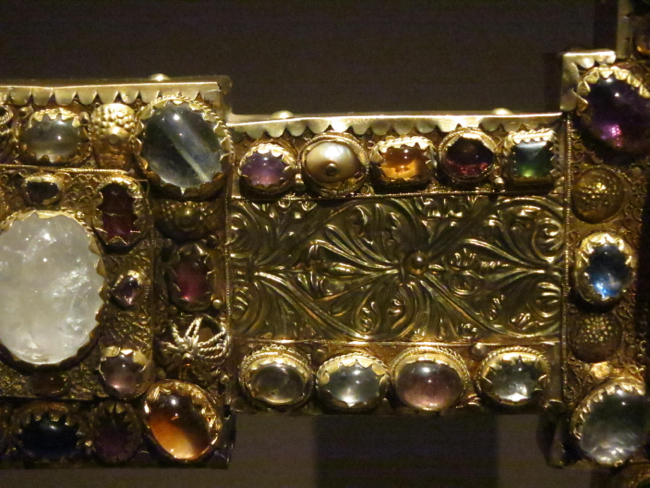 He became one of the patron saints of Bohemia; his magnificent sliver reliquary stands in the cathedral of Prague. In the 18th century his cult grew to enormous proportions; his image adorns many a bridge and church throughout Central Europe. 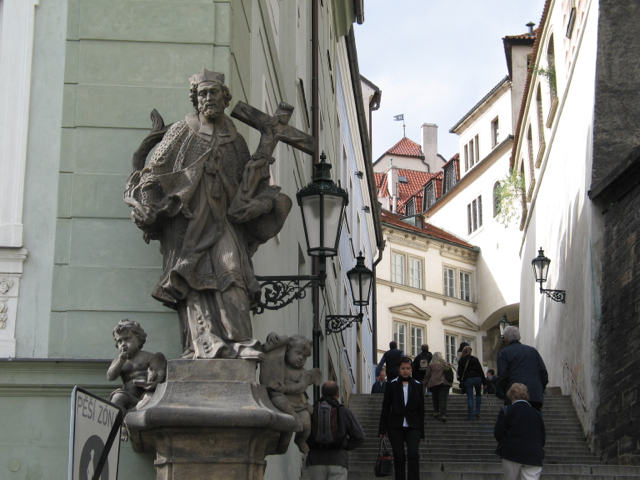 (Above and below) Two statues of St. John Nepomucene in Prague; that below is the original on the Charles Bridge. 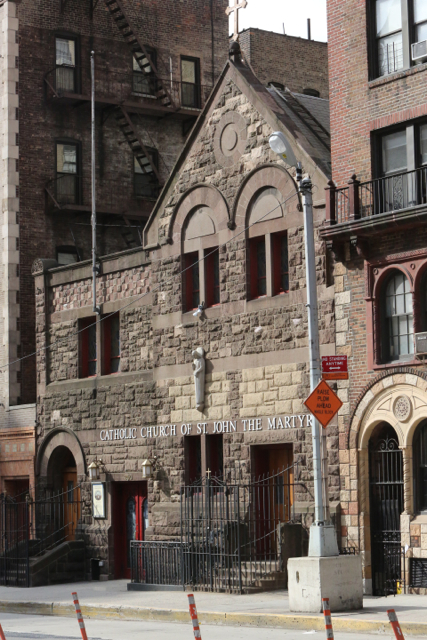 Already by 1921, there is a report that this church and its sister Czech parish of Our Lady of Perpetual Help were mixed Czech-Irish (there already had been at least one non-Czech curate at the St. John’s parish in 1914). 4) After 1918, the pastors are Irish (except for one monsignor with a Polish surname in the 1980’s). By the the 1950’s a Czech-speaking curate was no longer needed. 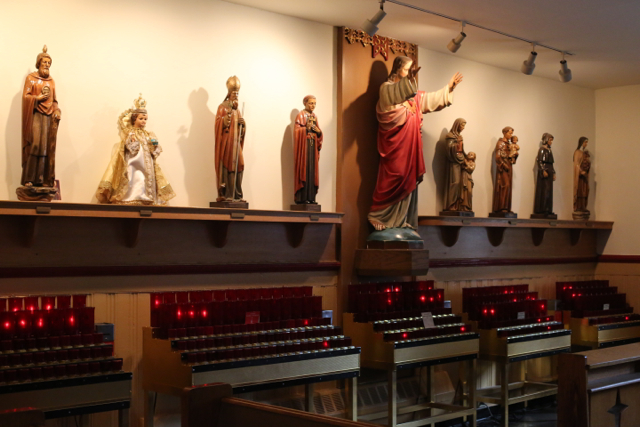 Around 1950 there was a major refurbishing: the ”Liturgical Movement” altars (similar to those in the parishes of St. Elizabeth of Hungary or St. Thomas More) are a legacy of the Spellman era. Meanwhile, the surrounding neighborhood was largely transformed from working and middle class into a district of luxury apartments. Marymount Manhattan College for young ladies established itself next door. In 1964, St. John the Martyr officially ceased to be a national parish and was given territorial boundaries. Any “ethnic” events that took place henceforward seem to have been Irish. In 1969 a drastic “conciliar” updating was imposed on the interior. 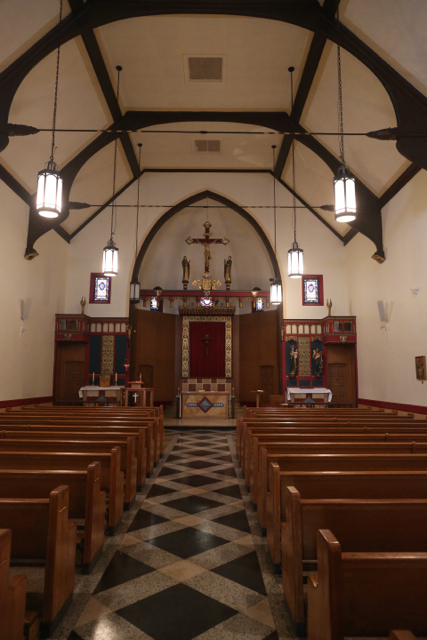 One would have expected that St. John the Martyr would settle into a comfortable future as a chapel for the well-to-do, much like St. Thomas More parish further north. Certainly this posting was not the most undistinguished one in the Archdiocese; all the pastors between 1935 and 2004 either already were monsignors or became such while at St John. But the ills and scandals of the “American Catholic Church” – spiritual, personnel and financial – caught up even with this modestly- scaled parish in a most wealthy area. In 2004, the pastor, Msgr. Woolsey, was “removed” for “financial irregularities,” as the parish history so circumspectly puts it. 5) It was a shattering blow. 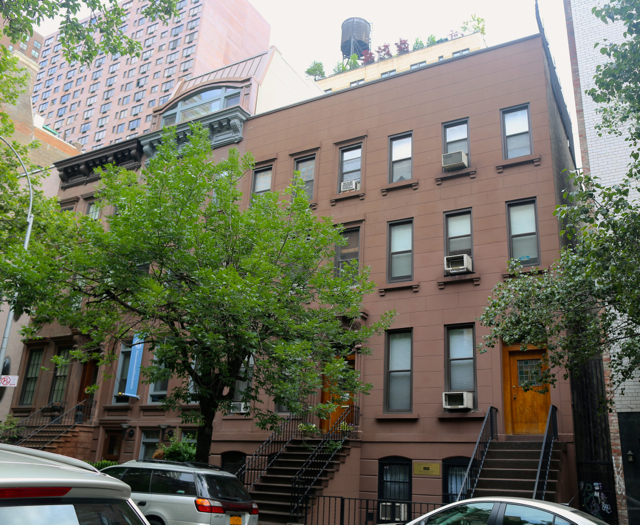 (Above) On East 71st Street, the rectory of St. John the Martyr and, next door, the residence of the Sisters of Life. Oh what a deal the sale of these buildings would make! 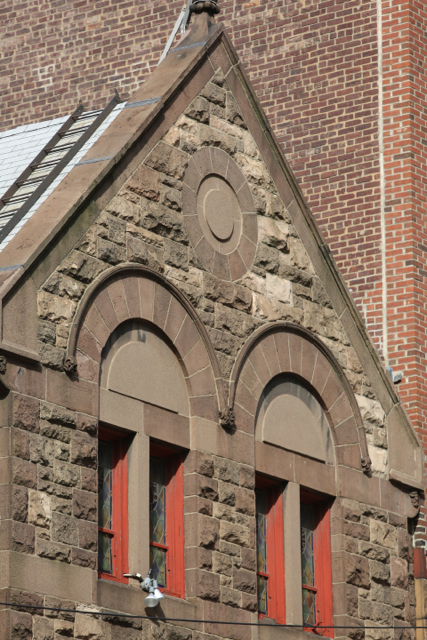 The brown exterior is a miniature but interesting example of that uniquely American “Romanesque” style of the 1880’s – what with its rugged stone walls, brownstone trimmings, pattern of round arches and touches of carved decoration. Big letters tell us the name and denomination of the church. 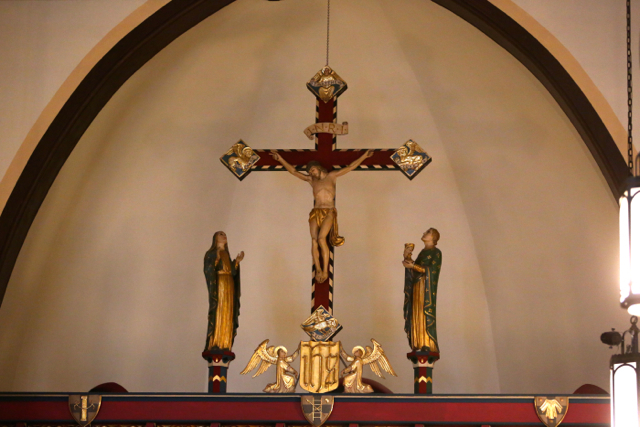 (Above) Two statues – united on the former altar of St. Joseph. Inside, there is not much to report. It a small, simple space with bare white walls. 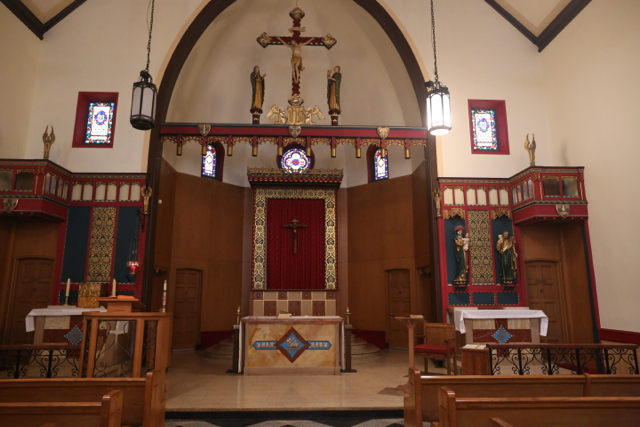 Prior house cleanings of the sanctuary, “conciliar” and earlier, have left relatively little for the visitor – even though what is there is undeniably “tasteful.” The interesting paintings from the first decoration of this church have disappeared. 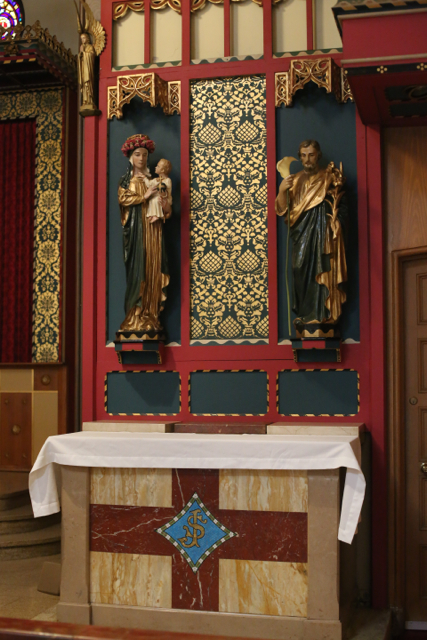 There is a very nice Rood, and a couple of fine statues of Mary and Joseph, but these have been collected on one side altar to make place for a “conciliar” tabernacle on the other side altar. In the rear of the “nave” is an undistinguished line-up of statues. The majority are Lladro – like ceramic figurines. 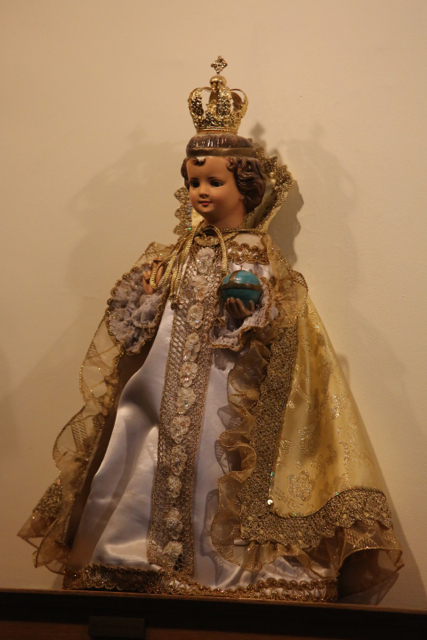 Only that of the Infant of Prague is in any way distinctive – was it part of the original inventory? (Above)A “post-conciliar” image of St. John of Nepomuk. (Below) The line-up of the saints under spotlights and before massed electric candles. The history of St. John the Martyr’s should have been an American success story. Starting from immigrant origins, the parish had grown into Irish Catholic respectability by the 1960’s. The new decor from the early 1950’s was eminently restrained and elegant; even the destructiveness of the post conciliar period had been relatively restrained. 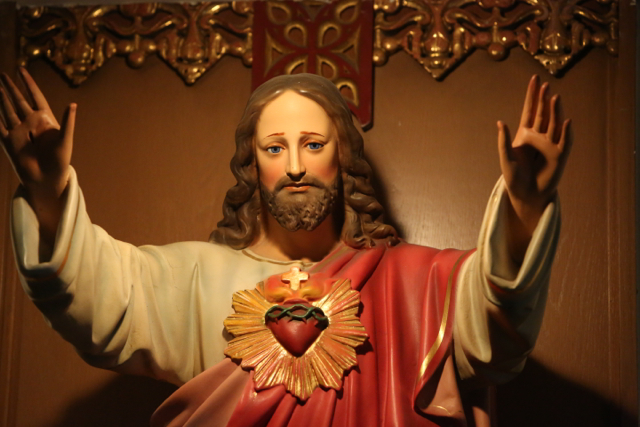 Yet the spiritual and moral woes of the Church and the Archdiocese – as exemplified by Marymount Manhattan and the Msgr. Woolsey story – could not be kept at bay. The presence in the immediate vicinity of the wonderful Sisters of Life (established by Cardinal O’Connor) could bring about no reversal of the negative trends (just like the pro-life cause in general). 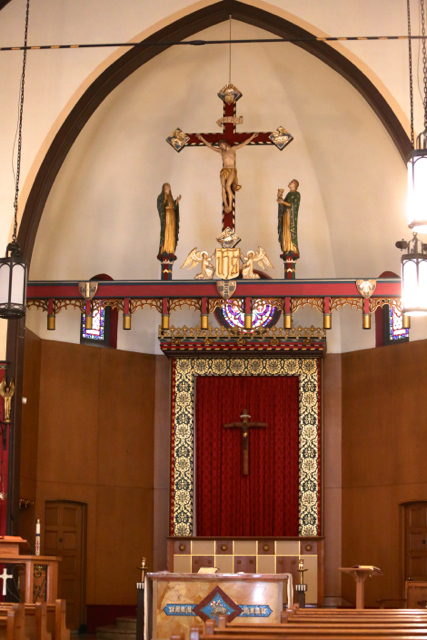 The story of this parish shows that the vastly increased wealth of a neighborhood – and the temptations it brings – can be even more destructive than the poverty of so many other parishes. 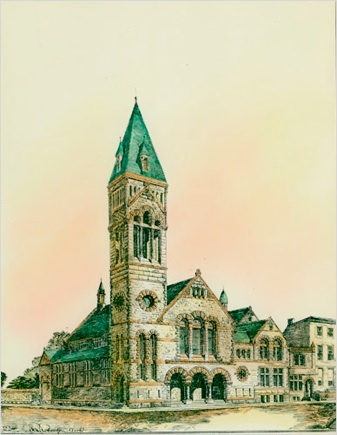 I hear that this church is a leading candidate for closing in “Making all Things New.” It is tragic that this unpretentious, unassuming parish, which in the recent past seemed to have “succeeded” according to all the usual criteria, should now fall victim to the crisis of the 21st century. 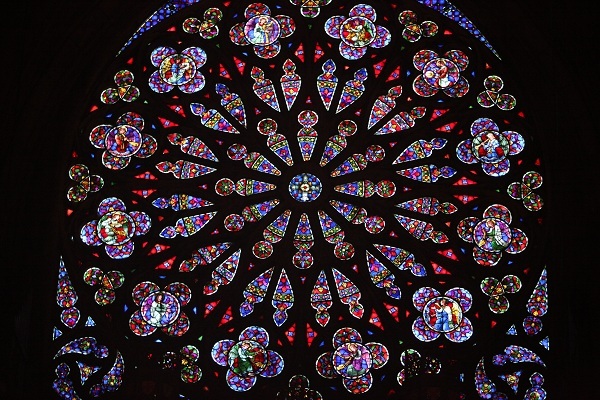 2) The Catholic Church in the United States of America, Vol. 3 at 340(Catholic Editing Company, New York 1914).